On Wednesdays we wear waistcoats -- or at least that’s what football fans in England are doing this week. 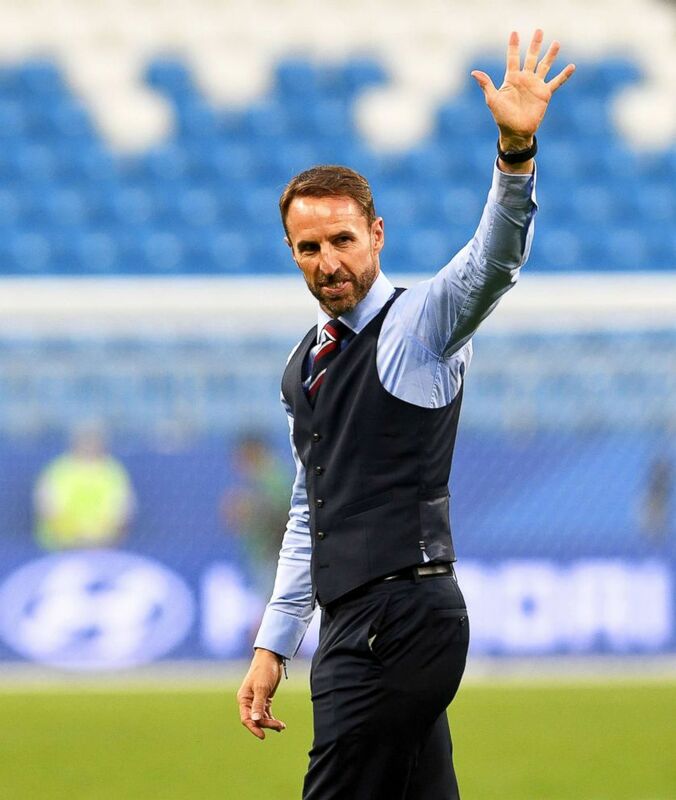 Ahead of England's highly-anticipated World Cup semifinal match against Croatia on Wednesday, devoted fans are getting out their waistcoats to wear as a tribute to coach Gareth Southgate for good luck. The unlikely garment has been a signature style staple for Southgate since 2016 when he led the team to victory against all odds. Gareth Southgate, Manager of England, celebrates at the final whistle following victory during the 2018 FIFA World Cup match between Sweden and England, July 7, 2018, in Samara, Russia. British retailer Marks & Spencer has reported a 35 percent spike in waistcoat sales, Metro.uk reported, and some stores have sold out of the item completely. Fans are showing their support on social media in anticipation for the match by posting selfies with the hashtag #WaistcoatWednesday. Some are even calling it "wear your waistcoat to work Wednesday." Even more, some schools are letting kids ditch their uniforms for the day. To celebrate the World Cup and England reaching the Semi Finals for the first time in 28 years, we will be having an optional non-uniform day on Wednesday 11th July. The waistcoat trend is also inspiring a new collection of memes online, too. But the garment has many Americans scratching their heads. What exactly is a waistcoat? More commonly known in the U.S. as a vest, the waistcoat has deep roots in English history dating back to the restoration of the British monarchy in 1660, when it was introduced as part of the correct style of dress by King Charles II. For Southgate, also a former player, it wasn’t always the defacto outfit of choice. As a player, Southgate may have been best known for missing a crucial penalty kick in the 1996 semifinals. After he retired, he turned to coaching and, ultimately, became interim manager in 2016 when England’s former team manager Sam Allardyce lost his job amidst allegations of improper conduct. Southgate led the team to a win in the World Cup qualifying game against Malta. 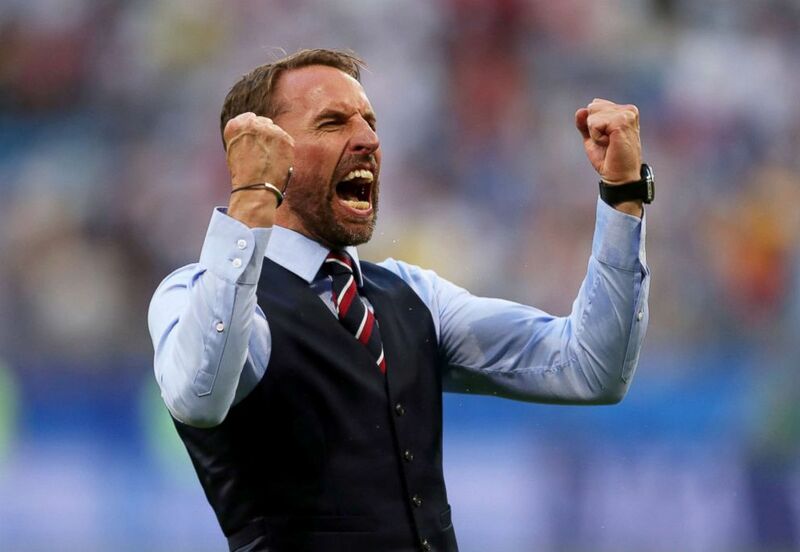 He became the third coach ever to guide England to the semifinals of a World Cup tournament, and he also happened to be wearing the now-iconic waistcoat at the time -- he's stuck to wearing the garment ever since. 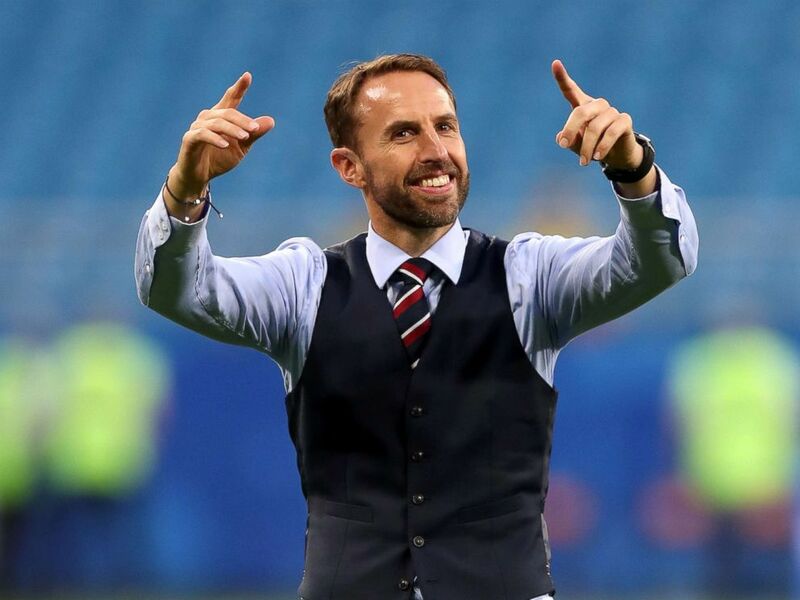 It’s no surprise that fans are now losing it over the waistcoat trend and banking on England’s best shot at winning a World Cup in decades. The team’s last -- and only -- World Cup championship was in 1966. The team’s performance thus far has rendered Southgate a national icon and restored faith in English football. Something about the waistcoat -- and what it says about his friendly demeanor -- has genuinely connected with fans. Many have pointed out that on top of giving the nation its first world-class team in years and attracting tons of media attention for his personal style, the players’ humility and diversity speak volumes about his coaching style -- making England’s underdog status something worth cheering for. It seems the hopes of an entire nation now rest on the back of Southgate and his waistcoat.